Very clean, comfortable and the staff are nice. Great location also. 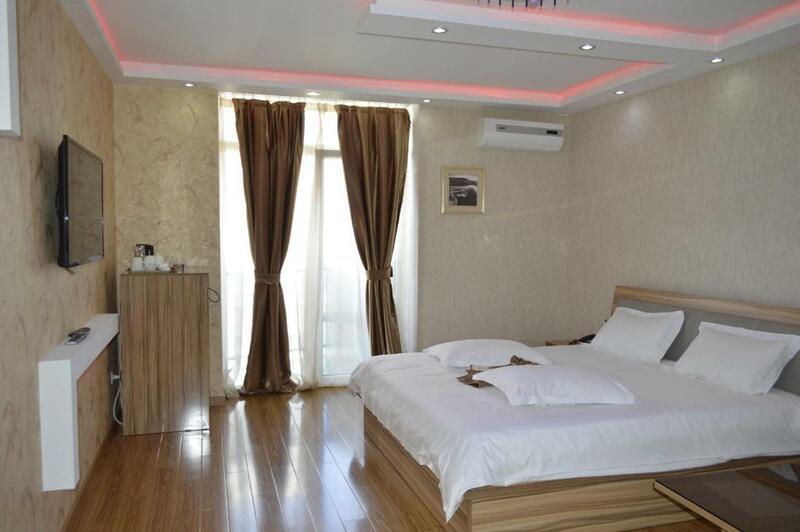 The location, room cleanliness and overall hotel facilities including restaurant were nice. 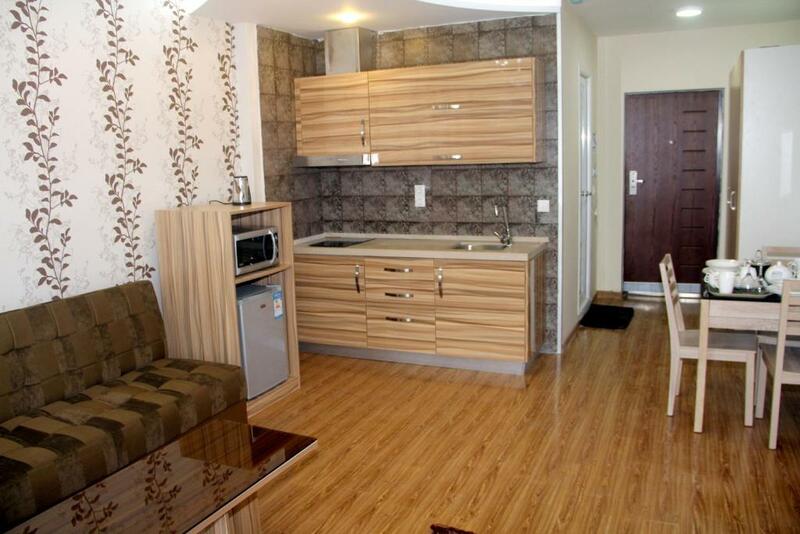 Ideal location to stay in Batumi in front of the Boulevard park and will recommend it. The Room is really nice, the bed is comfortable, the bathroom is a bit small and tiny but enough. You need the towels to take with you, provided ones are not really clean and nice. Breakfast is as simple as it can be. Location is nice, very close to the beach and 10 minutes walk from the central part of Batumi. Wonderful view and kindly staff. Good breakfast. Clean room. It’s really near the Black Sea, and it has a very good view of it. Our room is clean and very comfy and complete with amenities I would expect of a hotel. The bellboy was helpful and nice. Some of the staff was nice with the communication, the view of the hotel was nice only. Nice suite and facilities, very nice view of the sea from the suite. 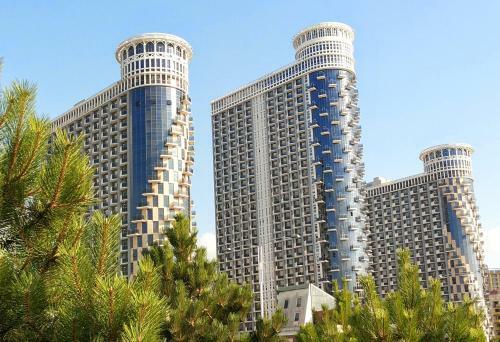 Lock in a great price for Grand Royal Batumi – rated 8.2 by recent guests! One of our top picks in Batumi.Located a 2-minute walk from the Black Sea beach in Batumi, Grand Royal Hotel features free WiFi and free parking. The rooms have a balcony, air conditioning, seating area, fridge, electric kettle and flat-screen TV with cable channels. 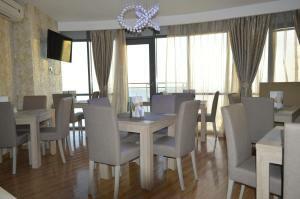 Guests are welcome to eat out in the cafes and restaurants nearby. Room service and breakfasts in the room are provided upon request. 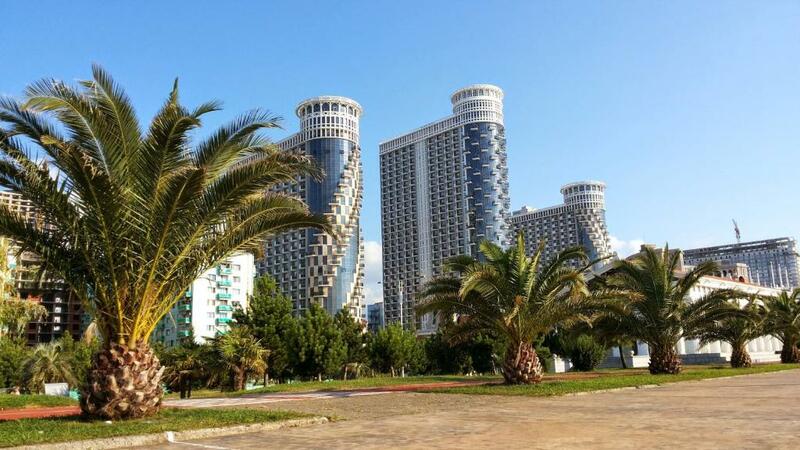 Dolphinarium is 1 mi away, and Batumi Water Park is a 7-minute walk from the property. 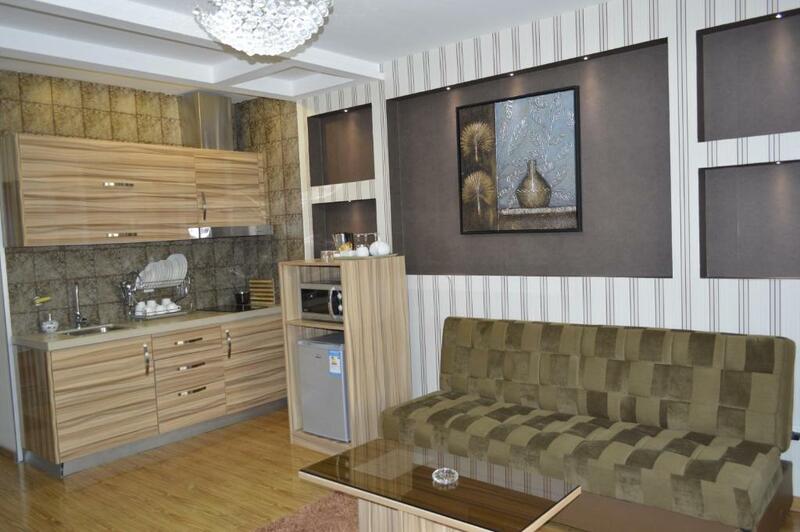 Batumi Train Station is 5 mi away, and Batumi International Airport is 5.8 mi from Grand Royal Hotel. Airport shuttle can be arranged upon request at a surcharge. When would you like to stay at Grand Royal Batumi? 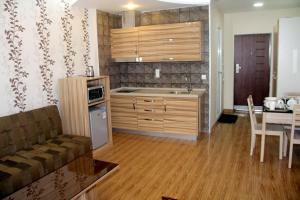 This room has a balcony, air conditioning, seating area, fridge, electric kettle and flat-screen TV with cable channels. This suite has a balcony, air conditioning, seating area, fridge, electric kettle and flat-screen TV with cable channels. It includes a kitchenette, spa bath and living room. It includes a kitchenette and a living room. House Rules Grand Royal Batumi takes special requests – add in the next step! One older child or adult is charged GEL 40 per person per night in an extra bed. Grand Royal Batumi accepts these cards and reserves the right to temporarily hold an amount prior to arrival. ApartHotel offers access to hookah bar, located at 18th floor, from April 20. No card payment accepted. Cash only. It’s not really a hotel, it’s more like a B&B on a certain floor in a high rise building. Smelt like cigarettes. Room floor was wet when I arrived. Breakfast was disappointing. It was easy to find and close to the sea. There was no electricity in that particular hotel for more than 6 hours on 10 October 2018. We asked to clean the room but nobody did it. Booking.com should check the hotel first & then upload on there website. Breakfast room was so small that it can hardly accommodate 15-20 person at a time. It was really not a good experience at all. payment per creditcard was Not accepted. Er must go to the bancomat just in the Moment of arriving. First -the cleaning. Then -every day something went wrong: water, light, etc. The apartment only looks well, but details spoil everything. A nice sea view and pancakes for breakfast. The position of the hotel is very comfortable, you can walk along the sea both sides. room has no pillows and towels, hot water in the bath was not running, bathroom was stinky and smelly. TV set was not working. Bathroom facilities, and there are too many Russian channels on TV.